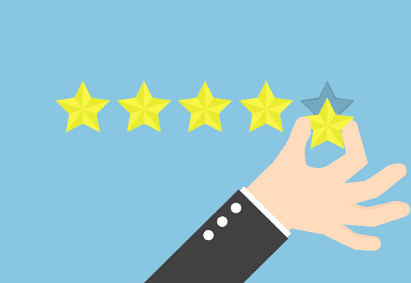 How can Reviews Benefit your business? Why use Reviews for your Business? We all read reviews when we’re buying, don’t we? We look for reassurance in the product or service we are about to buy. This makes reviews a powerful tool due to the influence they have over purchasing decision. User reviews are proven sales drivers, and something the majority of customers will want to see before deciding to make a purchase. Therefore, as a seller, this is a crucial element of your online success. Looking for online reviews has become part of the buying process for people that every website should be utilising them. On average, 75% of reviews posted on review websites are positive, and 71% of consumers agreed that reviews make them more comfortable that they are purchasing the right product or service. Reviews can lead to a 4.6% increase in conversion rates. 70% of customers consult reviews or ratings before making a final purchase. 67% of consumers read 6 reviews or less before they feel they can trust a business enough to make a purchase. What are the benefits of online customer reviews? Improving conversions customer experience should be the core reason of user reviews, however, as a digital marketing expert, we obviously get excited about the SEO benefits which come with reviews. Reviews are an increasingly important part of the purchase journey for online consumers. Therefore, your customers are actively searching for reviews increasing searches for keywords such as ‘review’, or ‘ratings’. How to Generate Customer Reviews? If you have any questions, or want to know how your business could be utilising reviews, get in touch.